Since being founded in 1984, Cisco has gone on to become the worldwide leader in IT that helps companies seize the opportunities of tomorrow by proving that amazing things can happen when you connect the previously unconnected. At Cisco customers come first and an integral part of their DNA is creating long-lasting customer partnerships and working with customers to identify their needs and provide solutions that support their success. Routeco appointed by Cisco as the first company in the UK to become a certified 'Internet of Things' Industry Expert Specialised Partner. 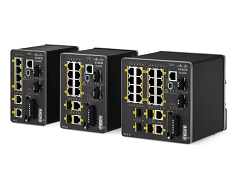 The designation recognises Routeco as having fulfilled the training requirements and program prerequisites to sell, deploy and support Cisco IoT Industry Expert products and solutions. The Cisco IoT Industry Expert Specialisation enables partners to combine their Operations Technology (OT) experience with Cisco IT networking knowledge. IoT Industry Expert Specialised Partners have experience working in industries such as manufacturing, energy and utilities, travel and transport, and/or connected safety and security. They have an understanding of Cisco products and concepts to be able to provide their customers the IoT solution they need. To earn the IoT Industry Expert Specialisation, Routeco has fulfilled Cisco training and exam requirements. 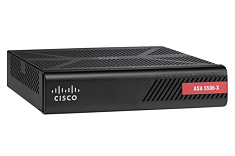 Routeco also met the personnel and post-sales support requirements set forth by Cisco. Beat sophisticated cyber attacks with a superior security appliance. 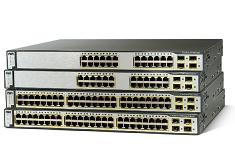 The Cisco ASA 5500-X Series offers the industry’s first threat-focused next-generation firewall.